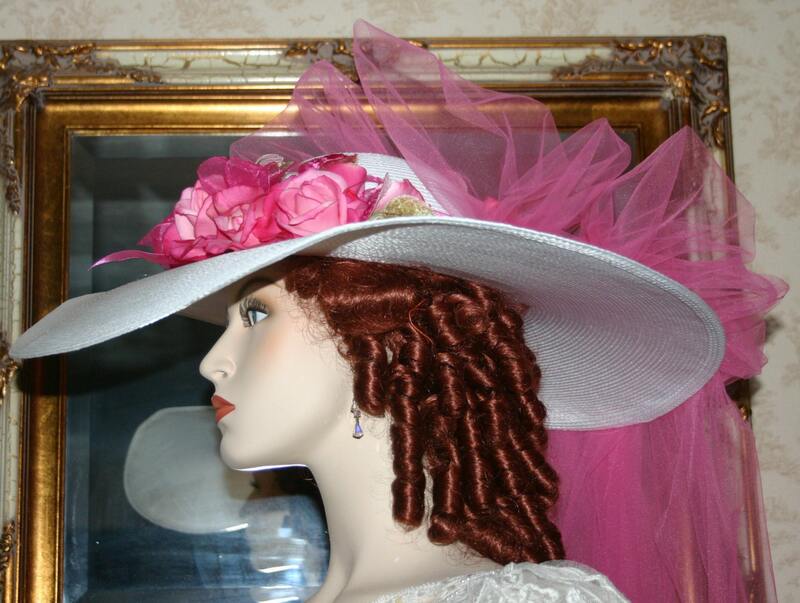 Kentucky Derby Hat Victorian Hat "Sweetheart of Miami" is a beautiful Southern Belle hat and it is made of white designer straw and the wide brim measures a full 22 inches in diameter. 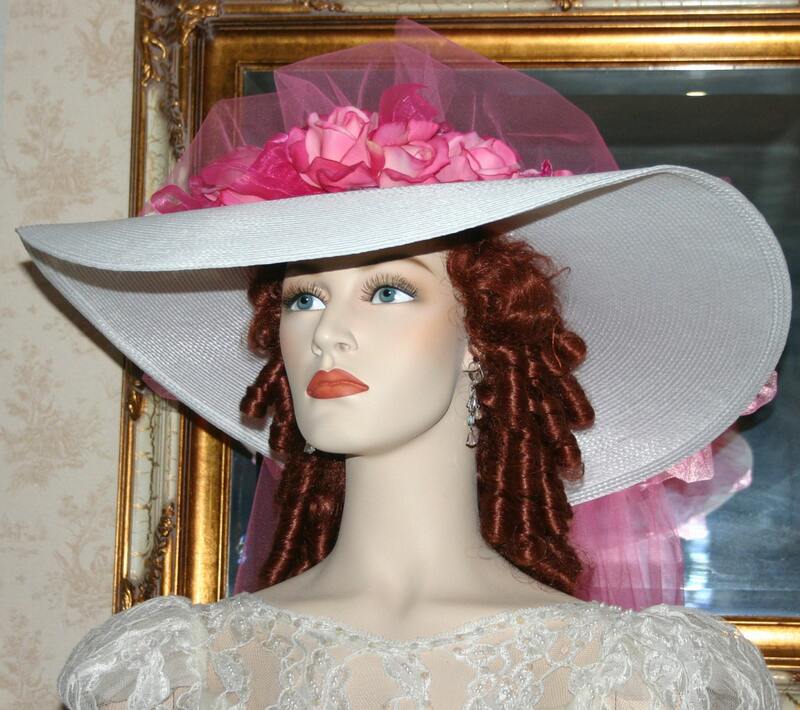 It is a gorgeous wide brimmed summer hat and it is perfect for that special tea party, church or Easter! 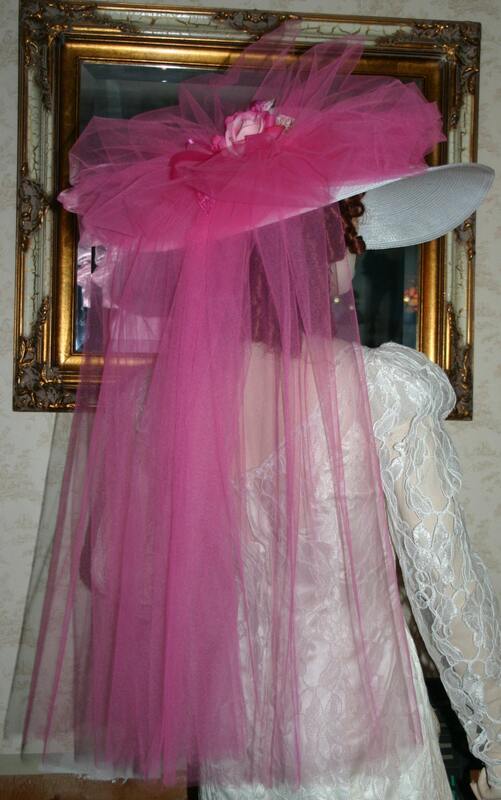 It is adorned with fuchsia pink roses The back of the hat is adorned with a large fuchsia pink tulle bow that cascades down the back. 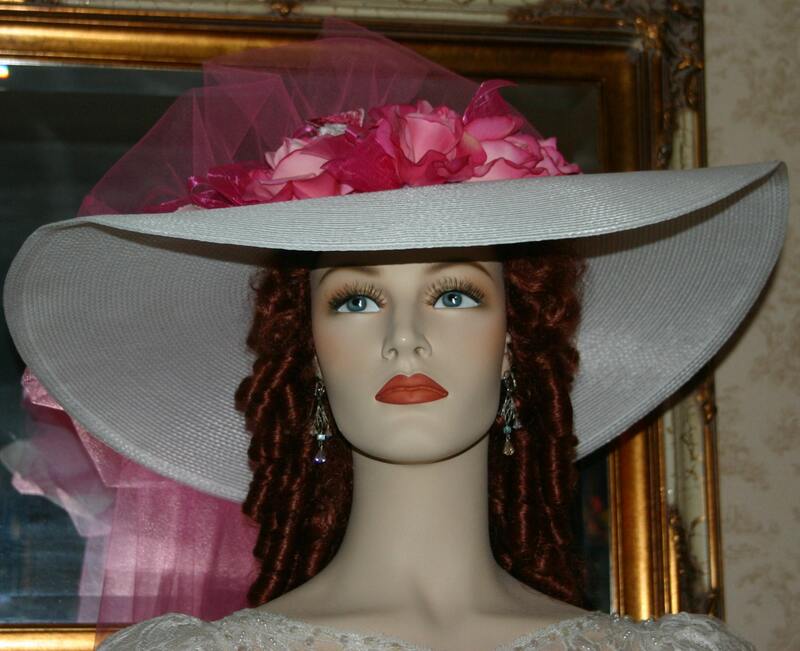 It is a beautiful hat and it is perfect for that Southern Belle Tea party, Barbecue or picnic.